In this case it was the Herald Digital Business Awards which recognise businesses which have made the most of the opportunities offered by digital technology and the internet. Well, that's definitely something we have done. In fact it's exactly what we do. We convert the opportunities offered by digital technology into leads for our clients. 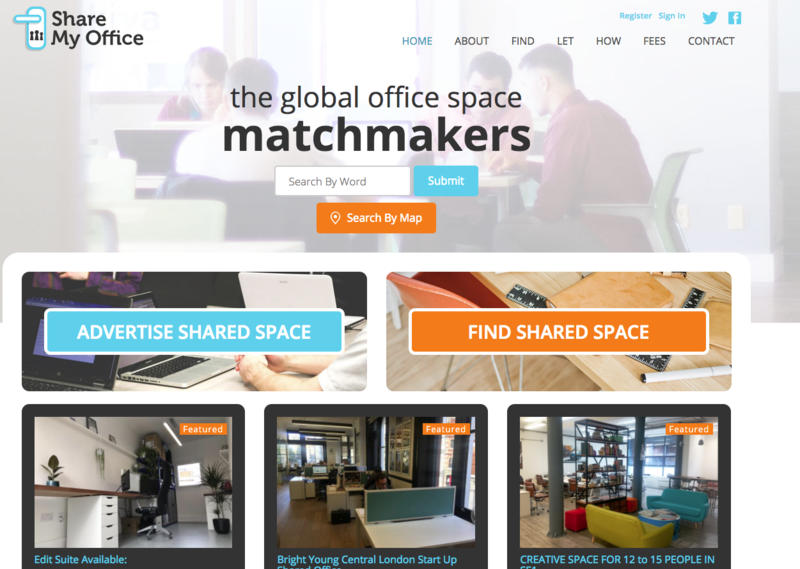 The project we entered for the award is Share My Office, our own online platform which matches companies that have spare desks with businesses needing office space. It was created to fill a gap in the market and let companies receive revenue from unused desks while enabling small and start-up businesses to grow. It's based on the idea that having your own office can make a big difference to new business owners. Moving your business out of your spare bedroom can be the first step on the ladder to success, but renting a whole office is daunting and often unaffordable. Add that to the fact that many businesses have spare desks or spaces sitting empty, which could not only bring in extra revenue, but could also bring in a different personality to complement or challenge your team and you've got a match made in heaven. Digital technology enables companies anywhere in the world to advertise office space quickly and easily and the power of the internet lets business owners and freelancers search for desk space in their preferred location. With the boom in co-working, particularly in major cities, the opportunities to find a suitable space have rocketed and Share My Office has become a go-to resource. 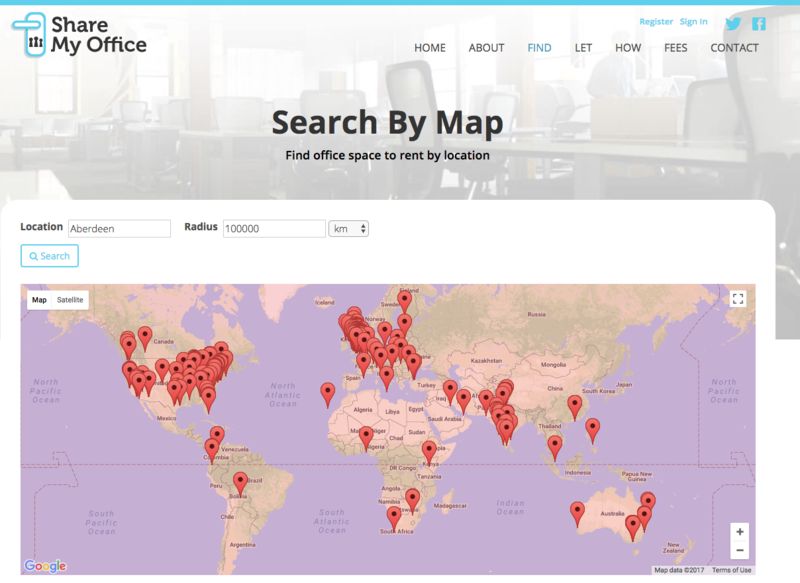 Share My Office currently has over 700 offices advertised covering 26 countries including the USA, Australia and India. The international spread is one of the reasons we entered Share My Office for an award. It is a great demonstration of the power of the internet. A small digital marketing agency, with its head office in rural North East Scotland can build a platform which reaches every part of the globe, because of the killer combination of content that gets indexed by Google and shown to people all over the world and an easy to use website that gets the job done. Share My Office is a great project for an inbound marketing agency like Red Evolution because it makes the most of all the skills we have in house. It started with an idea and then a plan developed. From there it took design, coding, web development, marketing, content writing, SEO and project management to get it off the ground. And on an ongoing basis we review it and improve it, updating software, adding or redesigning pages and other elements to make it work more effectively and adding content as well as posting new entries to Twitter and Instagram. The Award winners are being announced at a dinner in Glasgow on 19 October. Caron and Dave will be there and the rest of us will have our fingers and toes crossed.